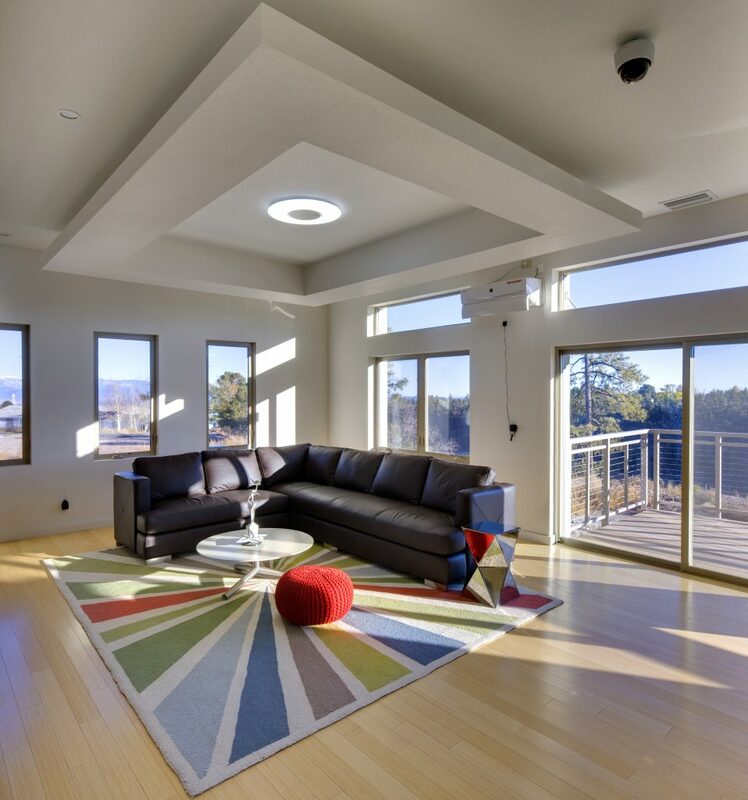 The design of the Smart House is reminiscent of the simple temporary structures built around Los Alamos in the World War II era, but clearly had its sights on the future. Los Alamos County and Japanese technology companies collaborated on the house to demonstrate how homes of the future can use smart equipment to positively respond to immediate demands on the power grid. 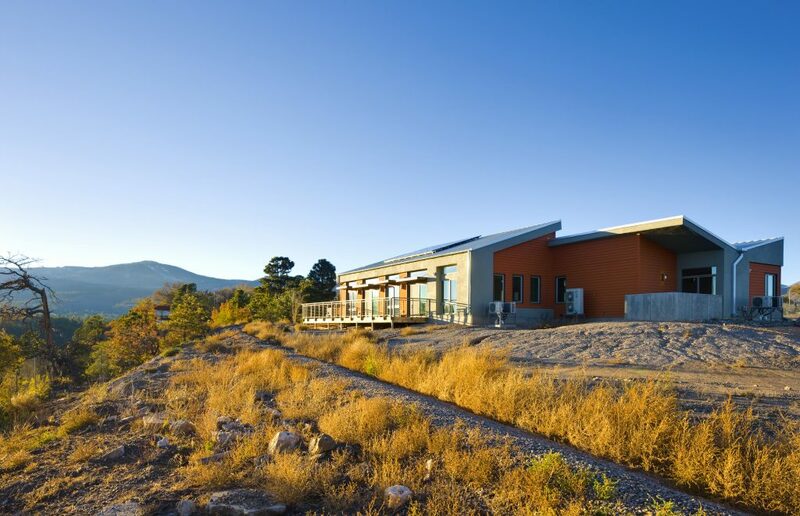 The 3,500-square-foot building is two rectangles sitting on the edge of Los Alamos Canyon. 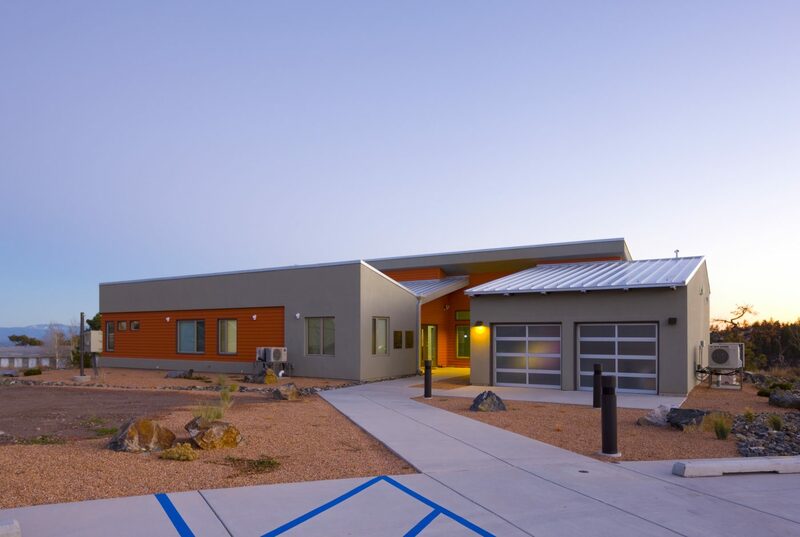 The three-bedroom, three-bath demonstration house was a prototype for sustainability with advanced fire protection, rainwater harvesting, proper solar orientation, recycled materials, LED lighting and state-of-the-art appliances. 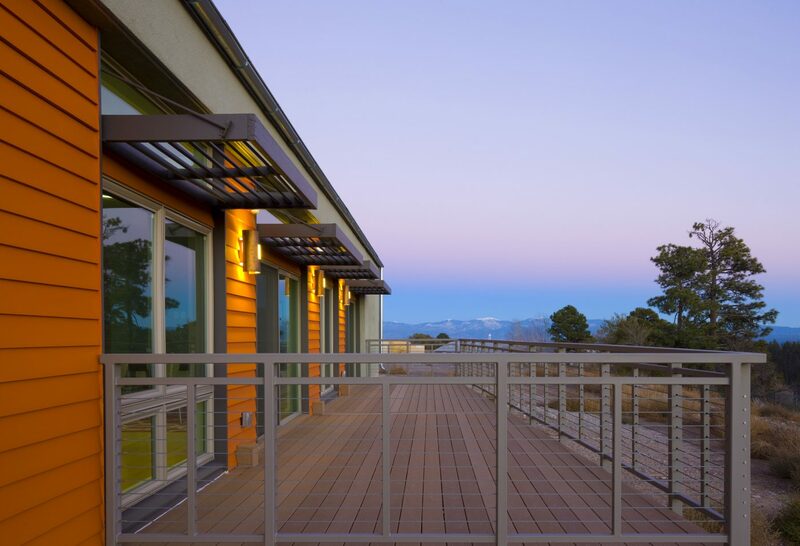 The lessons learned from the Smart House project between its opening in 2012 and the planned closing three years later can be implemented in the future on a large scale to dramatically reduce power demands and create energy-savings for all.